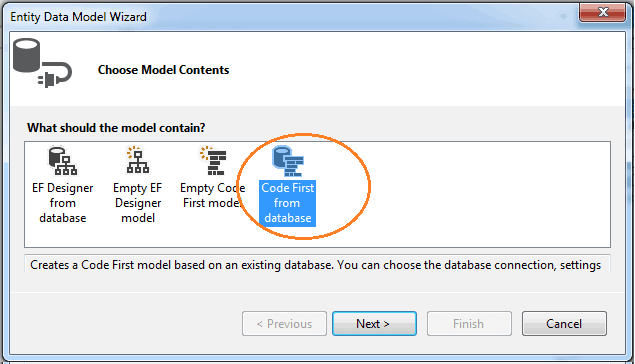 In this tutorial, we will show how to use Code First with the existing database in entity framework. In our last tutorials, we explained how to define your model using POCO classes. You can fine-tune your models using the Code First Conventions, Data Annotations attribute, and Fluent API. 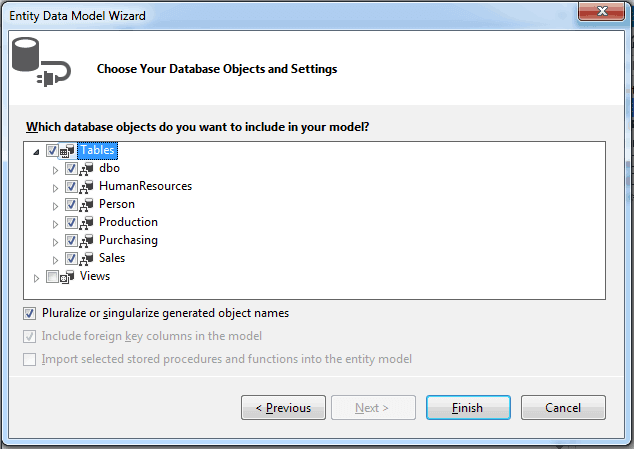 What if you are asked to implement Entity Framework Code First on existing database ?. In such scenario, you have two options. One option is to write all your POCO classes by hand. 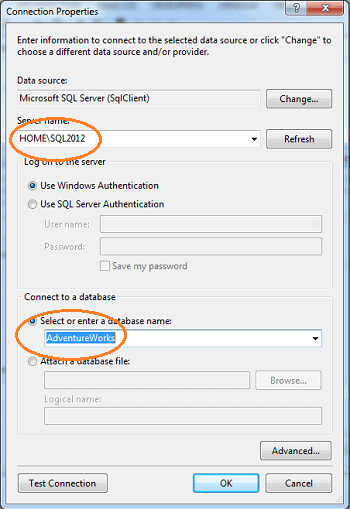 The second option is to Reverse Engineer the existing database using some external tools. First, we need an existing database. You can choose any database. 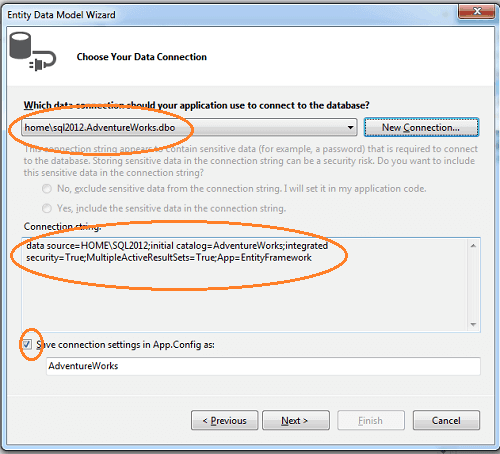 Let us use the AdventureWorks database. You can download it from the link http://msftdbprodsamples.codeplex.com/releases/view/59211. 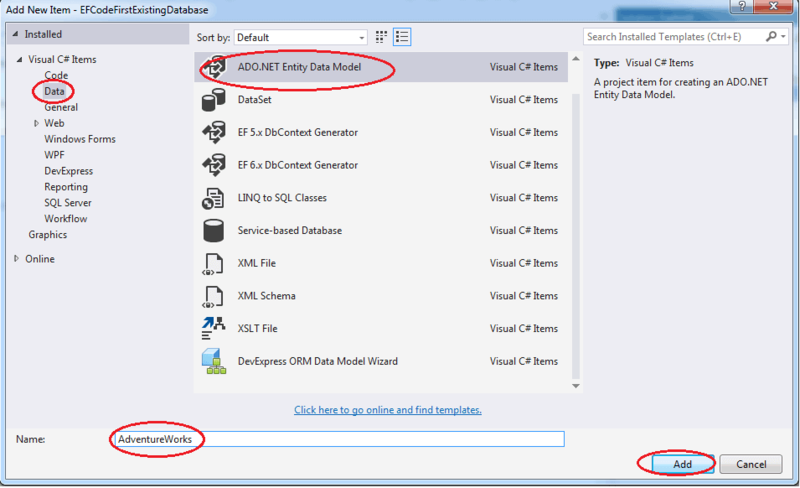 Download and install the Entity Framework 6 Tools from the link Provided. This tool has the option to Reverse Engineer Code First. Click on Add -> New Folder. Name the folder as Models. Now right click on the Models. The Code First Reverse engineer wizard will generate the Connection string and adds it your App.Config file. If you open your App.Config you will see the following connection string. 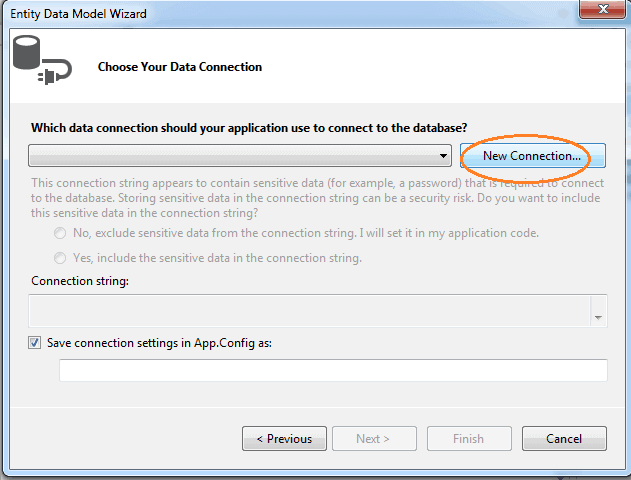 Connection string may differ depending on the version of SQL Server being used. Finally, we can test our application by querying the person table and listing out its content. The code is as shown below.